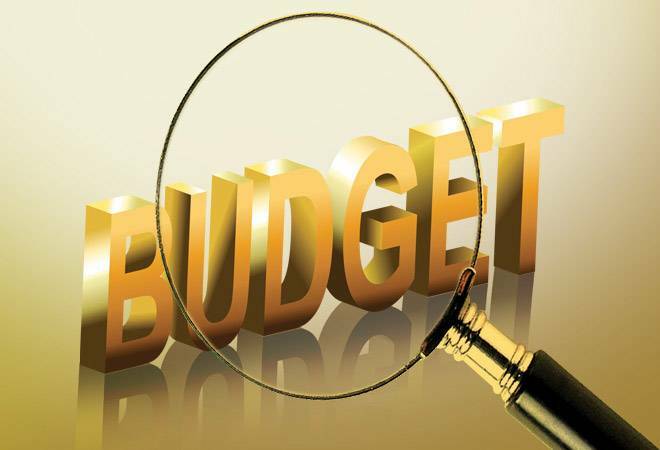 Considering Finance Minister Arun Jaitley's last budget ahead of the 2019 election, Business Today interviewed four mutual fund CEO and CIO - Rajeev Thakkar, CIO and Director at PPFAS Mutual Fund, Nimesh Shah, MD & CEO at Prudential ICICI AMC, Viral Berawala, CIO at Essel Mutual Fund and Radhika Gupta, CEO at Edelweiss AMC to get their views on the budget and what should investors do now with the event being over. All agreed Union Budget for FY2018-19 was in line with expectations on rural and infrastructure spends. Interestingly, they felt long term capital gain (LTCG) tax was not a shock, and had been done in a very non-disruptive manner. 1) Have the budget met your expectations? Rajeev Thakkar: The budget was on expected lines. Nimesh Shah: Yes. The Union Budget has very well balanced the needs of the rural India and masses, while balancing fiscal considerations. So, it is a well balanced Budget. Viral Berawala: Yes. It is a pragmatic Budget for two primary reasons. For this budgeting exercise the FM had a dual mandate; one was to stimulate the economy after the slowdown experienced due to implementation of GST & demonetization exercise and the other was to broadly adhere to fiscal consolidation. Radhika Gupta: It is a growth oriented budget with focus on revival of rural economy and Infrastructure development. It has certainly met most of our expectations in terms of providing fillip to the economy while maintaining fiscal prudence. 2) What are the items in the budget that has met your expectations? Thakkar: Given that we are moving into an election year, the emphasis on employment generation, poverty alleviation, rural focus etc. were expected. Shah: The fiscal deficit slippage has been in line with expectation. Spends on infrastructure is another area which has been on expected lines. Berawala: Fiscal deficit of 3.3% is within market tolerance. The projected GDP growth of 7.2% to 7.5% GDP is healthy. Revenue assumptions for the budget are also pragmatic and on the social security front measures taken for healthcare and rural development. Gupta: Continued focus on growth through capital spending and maintaining fiscal prudence. 3) What are the items in the budget that didn't meet your expectations? What are the disappointments in the budget? Thakkar: The retention of STT even post introduction of LTCG was unexpected. Disinvestments are seen more as a means of raising resources annually rather than the government exiting non-priority sectors. Beyond Air India, there has not been a mention of the government making too many strategic sales. Berawala: We were not disappointed by the budget per se. On the margin, something could have been done on the personal income tax front. Gupta: We were expecting some changes in 80C limits and some more mutual fund categories getting added. It would have further actuated financialisation of household savings. There isn't any disappointment; budget has something for everyone, Corporates, MSMEs, Rural India and Salaried class. 4) Where do you see the government getting it's revenues to finance the budget? The fiscal slippage is more than estimated. What are your thoughts? Thakkar: Fiscal slippage was more or less expected given the implementation of GST and the expectations of a populist budget. The fine print of the budget will have to be examined to look at the revenue-raising plans and to assess whether they are realistic. Shah: We believe even though there has been a marginal slippage in FY18 target by 30bps (3.5% of GDP) but when one considers the FY19 target mention of 3.3%, there has been a 20bps reduction from the initial target. So, we believe the fiscal discipline has largely been maintained by the Government. Berawala: We think that the assumptions on the revenue side are also pragmatic except for indirect tax assumptions which are on the optimistic side. With e-way Bill, better compliance and an uptick in growth the indirect tax revenue number can also be achieved. Gupta: Initial slowdown in tax revenues due to GST rollout will not be carried in next fiscal year, we expect some improvement in revenues from GST amidst better compliance and simplification of processes. Fiscal slippage is not to high given the fact that this is the last full budget by the current government, they have been very prudent in spending. 5) The LTCG tax is a dampener. what are your views? How do you see the market reacting? Thakkar: Grandfathering of past capital gains has reduced the impact of LTCG. Also, the communication strategy of the government was good. Starting from the last year's speech by the Prime Minister to various recommendations by economists and various articles in the media, there was a lot of groundwork that the government did to prepare the markets for this measure. Shah: We are of the view that the introduction of Long Term Capital Gains Tax has been done in a very non-disruptive manner and markets recovered back from the dip. Berawala: The proposed LTCG tax is prospective with grand-fathering, as well as there is no LTCG tax for gains upto Rs. 100,000 so the small investor may not be impacted. As can be seen from today's movement, markets were expecting LTCG tax, so a 10% tax with grand-fathering maybe acceptable. Gupta: It seems LTCG tax was already priced in, market reacted neutrally. We don't believe it is a dampener, equity still remains the lowest taxed investment avenue with ability to provide highest possible returns, hence, investors will continue to rely on equity to create long term wealth. 10% tax on gain will not stop any one from participating in this great asset class. 6) Post budget how does one invest in this market? Thakkar: Before this budget, unfortunately, many a time the taxation of different asset classes was driving investment decisions. Given that both equity and debt will now be subject to tax, investors should take into account their time horizon, risk appetite and profile, diversification needs, goals etc and arrive at an appropriate asset allocation. One should not focus too much on the tax aspects now. Given that there is a tax even on long-term capital gains, it would be best to keep portfolio churn to the minimum whether in debt investments, debt mutual funds, direct equities or in equity mutual funds. Purely tax driven products like dividend plans of balanced funds, arbitrage funds etc. may fade away. Shah: We believe that debt market looks very attractive from an investment perspective as on date. With the Finance Minister encouraging large corporates to use bond market to finance one-fourth of their funding needs, the corporate bond market space is likely to be widened. This makes an interesting case for investing in credit funds. So, one can consider investing into credit funds via the SIP way. In terms of equity, given the current valuations, a product which involves both equity and debt should be considered. Owing to the steep rally in markets, we believe equity markets seem to have already factored in the corporate earnings growth. In terms of market capitalization, on valuation basis, it's large caps over mid and small caps. Berawala: Volatility in 2017 was unusually subdued with a top to bottom correction of only 4.2%. We feel volatility will increase in 2018 in such a scenario an investor is best served by investing regularly in a disciplined manner. Gupta: One should continue to follow asset allocation and be long term oriented while investing in equities at these levels. Budget should not materially impact the way one should invest for achieving his long term goals.